Ol' Man River Alive and Well? "The Natchez" paddleboat on the Mississippi River at the river's crescent as viewed from New Orleans' Bywater neighborhood. This is where a sharp, C-shaped curve of the river is located, which slows the river flow and creates the siltation or high ground upon which the Vieux Carré (French Quarter) was built back in pre-Colonial days. 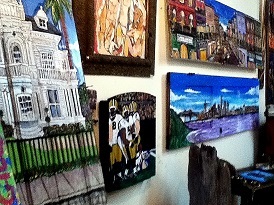 That's why New Orleans is known as "the Crescent City." 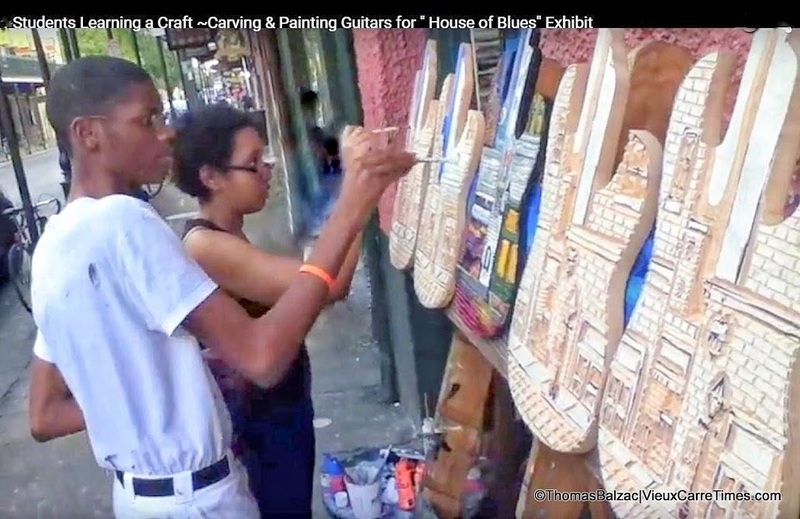 Editor's Note: click "News & Views" for local stories, videos and photos of New Orleans; "Music & Art" links to the Times' YouTube channel featuring hundreds of local musicians, artists & poets from the French Quarter and nearby neighborhoods. "Editorials" links to editor-publisher Thomas Balzac's comments on discussions by C-Span, NPR, PBS, etc., via Twitter (join in!) There's also a developing "Children's Page" and stay tuned for "jazz music" and "astronomy" pages. Musician Mickey McLaughlin said he wrote the song, "'Good-Bye!' to a Little Bird" to remember a little bird he witnessed die in front of him "/all covered in black/ ...a little bird that British Petroleum didn't care about, obviously." His harmonica solo is as sweet as his question to BP is bitter: "Listen, Oil Man! / Tell me why / this bird only lands here to die? / I better hang my head and cry / and say good-bye / to a little bird / to a little bird...." New Orleans song-writer Mark ("Mickey") McLaughlin wrote this shortly before he passed away. It's about a little bird that landed in front of ol' Slewfoot (what locals named him decades ago) on his way home one day during the BP oil spill disaster...: "Song for a Little Bird"
"The bird was all covered in oil, and it broke my heart," he recalls. "I couldn't talk about it, but I did make a song to remember that little bird, a little bird that British Petroleum didn't care about, obviously." Daniel C. Garcia supervises Taylor Osbey and Anthony Jones, who are adding original artistic touches to several carved-wood guitars.